Combine dry ingredients; mix well. Add egg and buttermilk; stir until smooth. Place bacon drippings in a 9-inch cast-iron skillet in the preheated oven for five (5) minutes. Remove skillet from oven, and pour hot drippings into batter; mix well. Quickly pour batter into skillet. Bake at 425ºF until golden, about twenty to twenty-five (20 to 25) minutes. 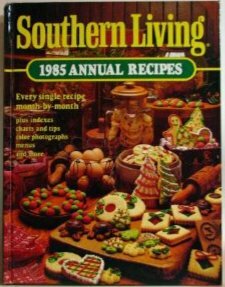 Slightly adapts Southern Living 1985 Annual Recipes (Birmingham: Oxmoor House, 1985), 254. We use this recipe when making cornbread dressing at Thanksgiving.